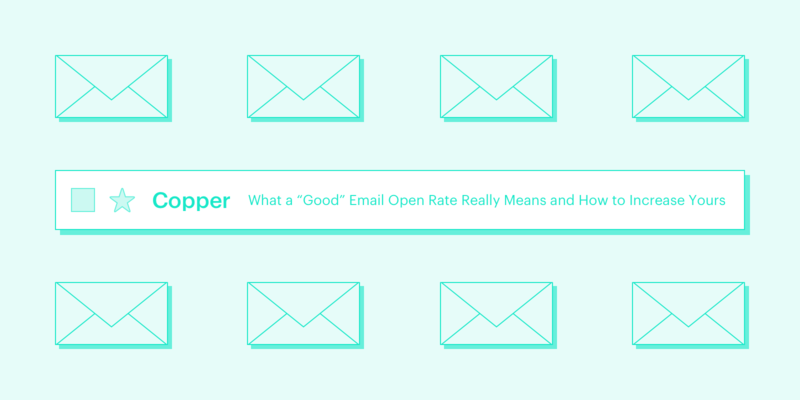 Your email open rate = how many people open your email. Well, the hard part is actually getting people to open your email, and once they do, determining whether that email open rate is good. For example, if you sent out 100 emails but 10 of them bounced, you’re going to subtract these bounces from the amount of emails sent and then divide your unique opens by this number. If 20 people open your email: 20 unique opens / (100 emails sent - 5 bounces) x 100 = an open rate of about 21.05%. 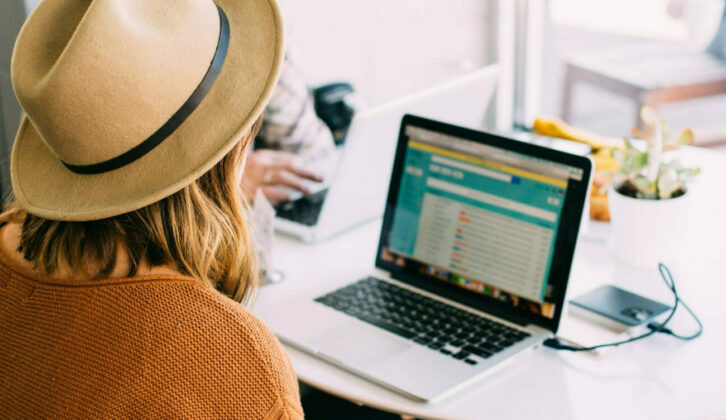 Knowing whether your email open rate is on par with your competitors is important because it’s one of the top indicators of the success of your email campaigns—and if not enough people are opening your emails, your email campaigns stand no chance at all. So… are your email open rates cutting it? We put this post together to help you figure that out. 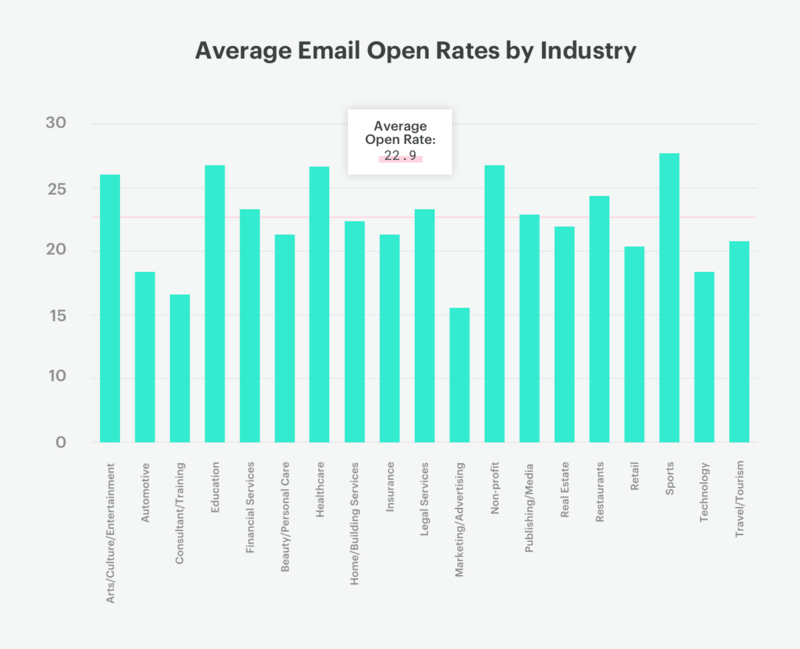 We averaged out industry benchmarks for email open rates. 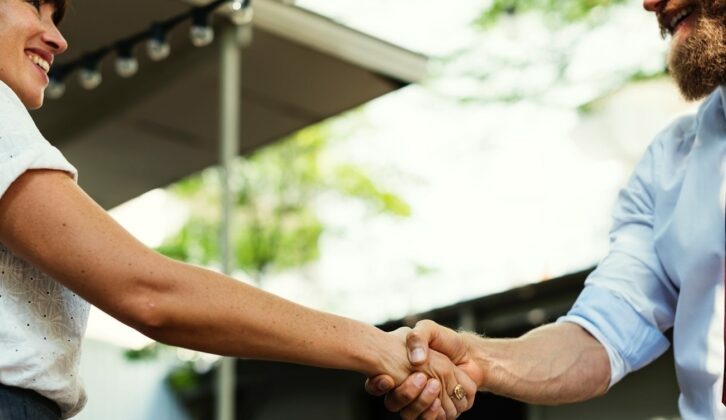 There are a lot of different companies out there who research email open rates and the findings tend to vary slightly from company to company. To make your life easier, we averaged the average open rates for 2017-2018 from four leading email automation companies: GetResponse, Mailchimp, Constant Contact, and Silverpop. These numbers can serve as a good benchmark to evaluate your email marketing performance against. Open rates by industry for 2017-2018 based on overall averages as reported by four leading email automation companies: GetResponse, Mailchimp, Constant Contact, and Silverpop. What affects email open rates anyway? The good news? These things are all fixable. Keep reading to find out how. Here’s how to increase your email open rates. Having a subject line that people actually want to click on is huge. If people aren’t clicking your subject line, this will not only affect your open rate but also all other aspects of your email campaigns including your click-through rates, forward rates, and overall ROI. According to a study conducted by Marketo, four-word subject lines resulted in the highest email open rate, and 9-word subject lines resulted in the lowest. Having a shorter subject line will also better optimize your email for mobile users. Personalizing an email subject line by adding the recipient's name to it is the most obvious way to individualize your emails. If you saw your name in an email subject line, wouldn’t you want to open that email just a teeny bit more? If you use a CRM, adding names to your email subject lines is easy. Steer clear of caps lock and excessive exclamation points. Not only do they make you sound like you’re yelling (and who likes being yelled at? ), they’re also more likely to come across as spammy. A/B testing is when you compare how one version of something—in this case your email subject line—stacks up against another version of it. The purpose of A/B testing your email subject line is to find out which version will give you the higher open rate. The results of your experiment can then be used not only for this email, but also to help make future emails more successful as well. To test your subject lines, send out emails to a sample of your audience; for this sample, send emails to half of them using subject line A, and the other half using subject line B. Get more info on how big of a sample you should A/B test here. Determine which one has the higher open rate, then send that email to the remainder of your audience with the winning subject line. Qualifying the people on your email list will make sure you’re only emailing people who actually care about what you’re offering. This forces your subscriber to take an extra step to verify that they do in fact care about your content: by clicking on a confirmation email. The extra benefit of double opt-in? You’ll know that the email addresses are legit. If you’re offering something on your website in exchange for contact info, make sure it’s relevant to what you’re selling. For example, a free social media audit template makes sense for a social media management company; offering a free TV does not. Segmented email campaigns can give you open rates that are 14.31% higher than non-segmented campaigns. To segment your email list, divide it into categories to better target subscribers with specific emails. This ensures that you’re only sending your subscribers content that’s relevant to them. Emails aren’t one-size-fits-all. If recipients aren’t interested in your emails, they’ll delete them, unsubscribe, or even complain about them. Yikes. If you know where your audience is, it might be easier to decide which types of content to send them. For example, if you’re a realtor, knowing where your subscribers live means you can send them listings that are in their area (or in the area they’d like to be in). An easy way to get the location of your subscriber: ask them to enter it along with their email address right from the get-go. This might be the best segmentation method of all. Knowing the behaviors of your audience means you can send them targeted content based on that behavior. For example, when someone buys something from your website, you can make suggestions based on their purchase since you’ll have an idea of what they like. Similarly, if they added something to their cart on your website but then left the page, you can send a follow-up email reminding them of the item in their cart, along with some other relevant items they might be interested in. Maybe some people love hearing about your deals and promos, but find your weekly newsletters annoying. Allow them to customize their preferences to only receive emails about deals and promos. The benefits? Your email open rates will improve and your ROI will be higher as you won’t be wasting time and money sending emails to people who aren’t going to read them anyway. The benefit to your subscribers is that they’ll only get content they care about. Plus, they won’t need to unsubscribe from your promo emails just because your newsletters were annoying them. Everybody wins. According to a study GetResponse conducted on two billion emails sent between January and March 2018, the best days of the week to send emails are weekdays. The same study also found that the best times to send emails are around 11 AM, 2 PM, and 6 PM. Of course, your open rates and audiences could vary, so test it yourself. Start by sending your emails out at the same time every day. Do this for a few weeks and record your open rates. If there’s room for improvement (e.g. your open rates aren’t meeting the industry average), try switching up your send time and see if that helps. Eventually, you’ll find the times that work for your company’s specific audience. Figuring out what times to send your emails out doesn’t need to be a shot in the dark. If your subscribers also happen to follow you on social, open up your social media analytics and see when they tend to come online the most. Then, try sending your emails at those times. Tidy up your list regularly. It’s important to keep your email list fresh to ensure your contacts are people who are really interested in you. This will help reduce your bounce rate, give you the most accurate open rate data, and bring in the highest ROI for your email campaigns. Get in the habit of removing inactive users. For example, if someone hasn’t opened your last five emails, they’re probably just not that into you and you might want to consider removing them from your list. Your next email open rate is going to be so good. Improving your email open rate doesn’t have to be hard. 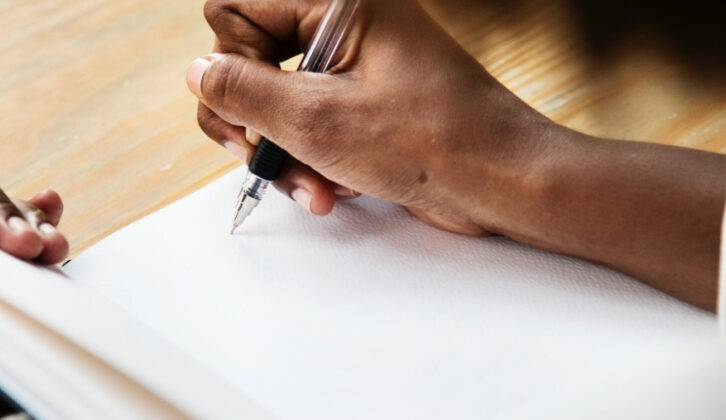 Incorporate some of the tips in this article to your next email campaign—and tell us how your results look!